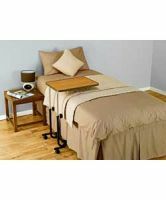 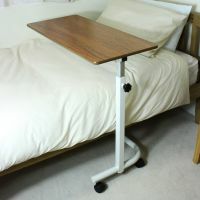 A cantilever table top is supported on one side only so that the table can be positioned close to, or over the bed. 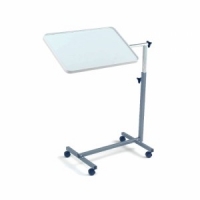 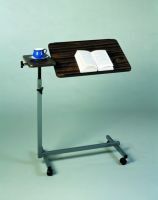 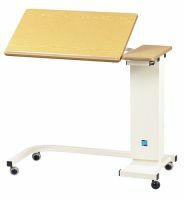 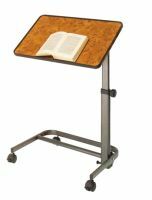 Some have the option of a tilting top for supporting a book, newspaper, or writing paper at an angle. 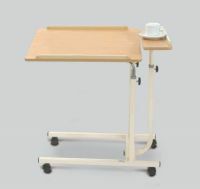 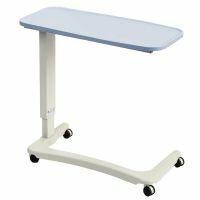 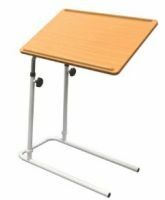 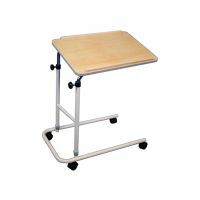 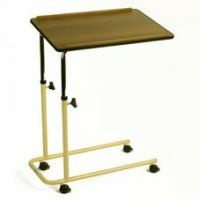 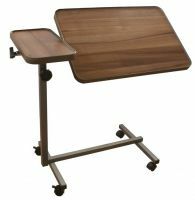 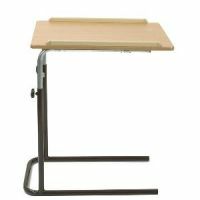 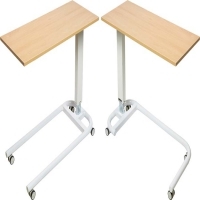 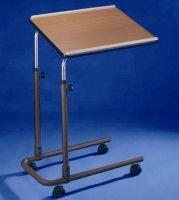 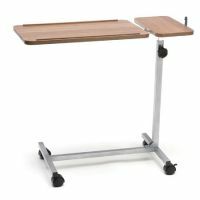 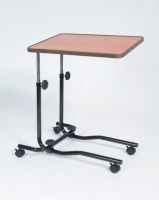 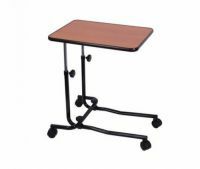 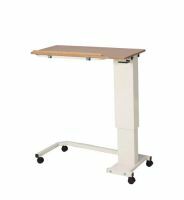 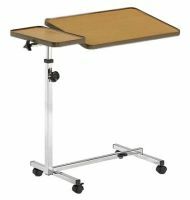 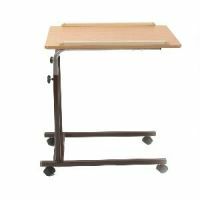 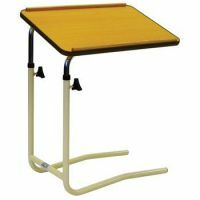 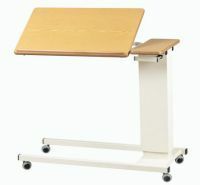 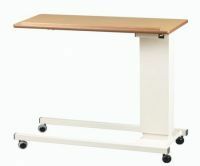 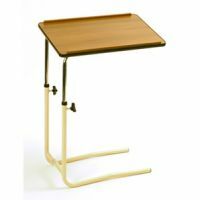 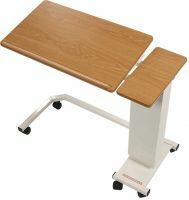 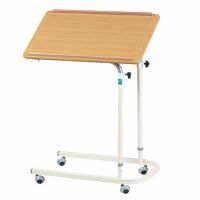 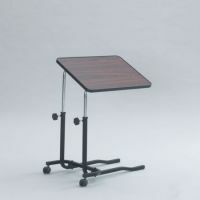 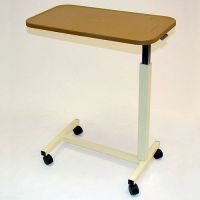 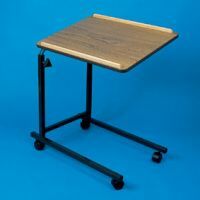 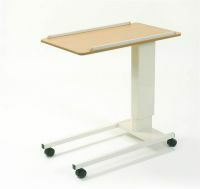 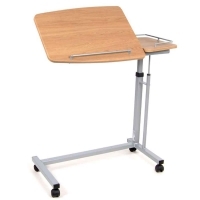 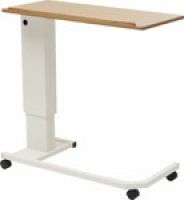 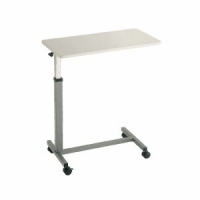 Cantilever tables are much smaller than over bed tables, and are less sturdy. 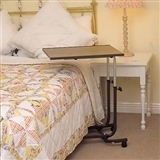 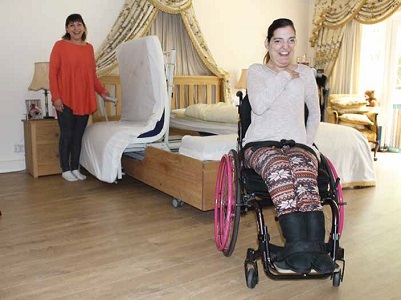 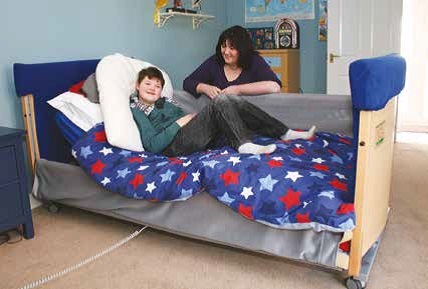 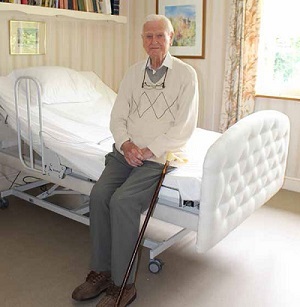 Tables without castors are lower and may fit under a bed with only limited clearance, for example a divan style bed. 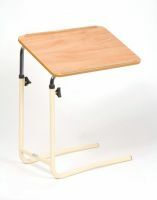 Tables with an open 'U' shape or a 'C' shape can also be used with a chair.